The storm from last week left its mark on our city. 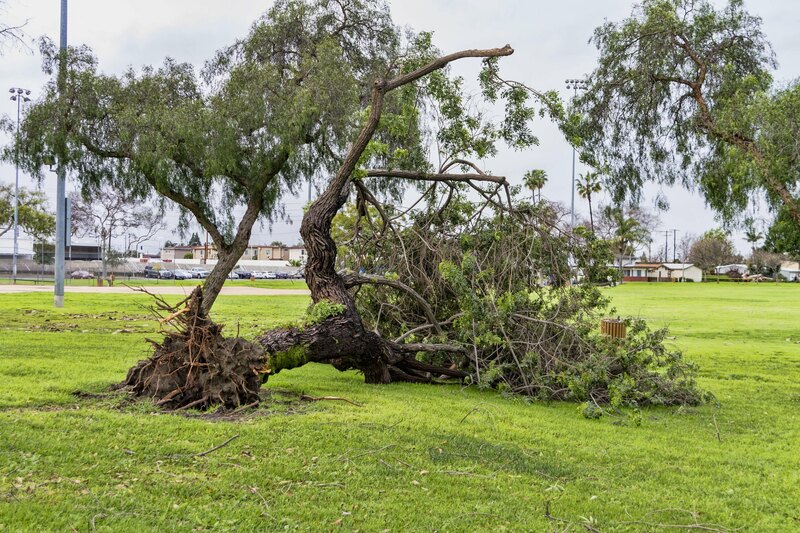 In the picture above, you can see the big tree that was uprooted in Rio San Gabriel Park. 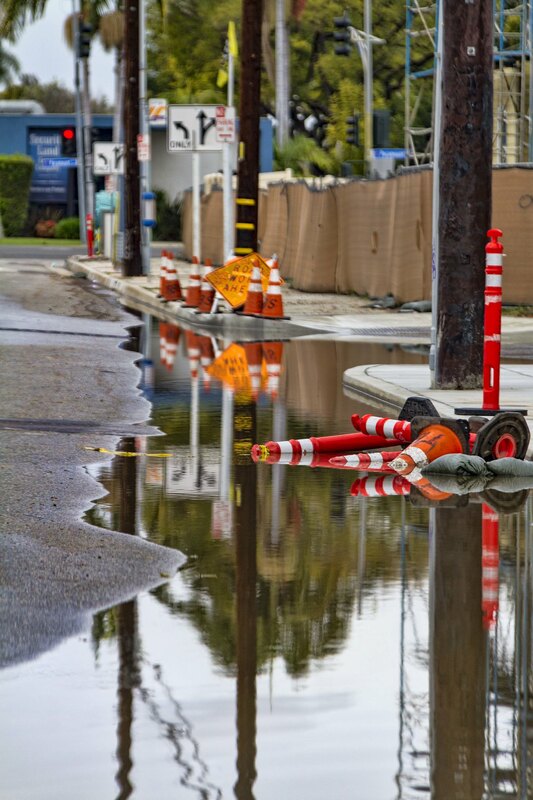 And, despite sewer drains all throughout the city, the water couldn't drain fast enough. On my way home from work last Friday, I was surprised to notice my phone navigation app warned me of a "flood" up ahead as I was exiting the 605 freeway. And, sure enough, it was flooded and completely overrunning the curb halfway across the street. I will say I drove more slowly than normal that night. It was a scary drive home. "The wise man in the storm prays to God, not for safety from danger, but deliverance from fear."